When the weather is cold then warming winter dishes are the order of the day. 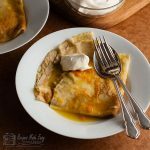 This week I have chosen four dishes from lasts weeks linky that I think are perfect winter dishes. This week Recipes Made Easy turned three years old. The year has had its ups and downs. The biggest downs being having to deal with the wholesale theft of my content onto another website, and the ever growing list of things that need to be done with on the technical side of the site as it grows. Oh how I wish I could just write and and photograph the recipes and put them on line and everything else looked after itself. ( That’s me and pretty much every other food blogger I know). But any pitfalls are more than made up by the fact that Recipes Made Easy continues to grow apace, I love getting the feedback from those trying my recipes, and I have more regular readers than ever before. In fact page views are double from a year ago and though I still haven’t made it into the top 100 of Foodies 100 yet perhaps 2019 will be the one. I have also made some great new friends along the way like the lovely Emilie from Cookies for England, who came along and did a Friends in the kitchen feature with me while on her holiday. All said and done I enjoy writing and photographing Recipes Made Easy as much as ever. 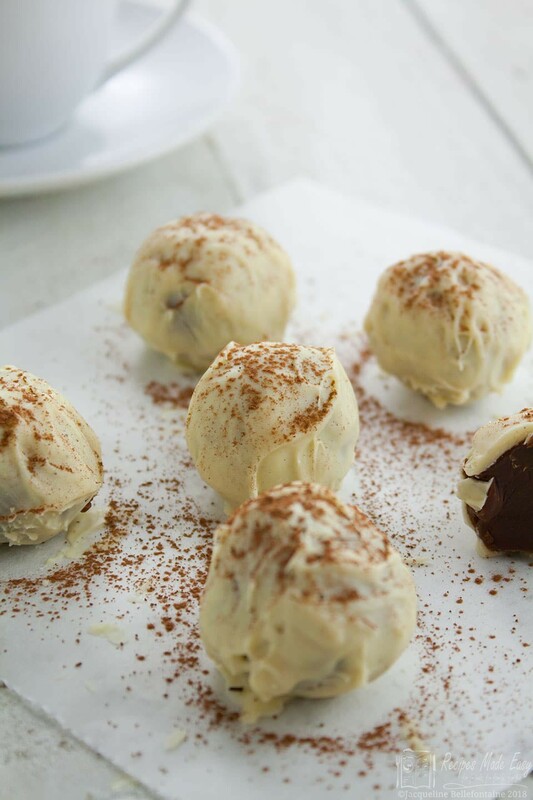 In the first year my Coffee Truffles became the most popular recipe and still remains my most popular recipe ever, with over a thousand page visits last week. They would make a fabulous Christmas gift for your loved ones. The photography isn’t that great as its one of my earlier images taken with a “proper” camera, although I have managed to brighten them up a bit with editing. Looking back some of the very early images taken on my iphone were shockers. Next year I plan to go in and update the photography on all those posts. 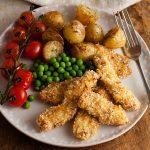 One thing for sure is that the last 3 years have flown by, which is why I am still taken aback that this is the last #CookBlogShare of the year on Recipes Made Easy. 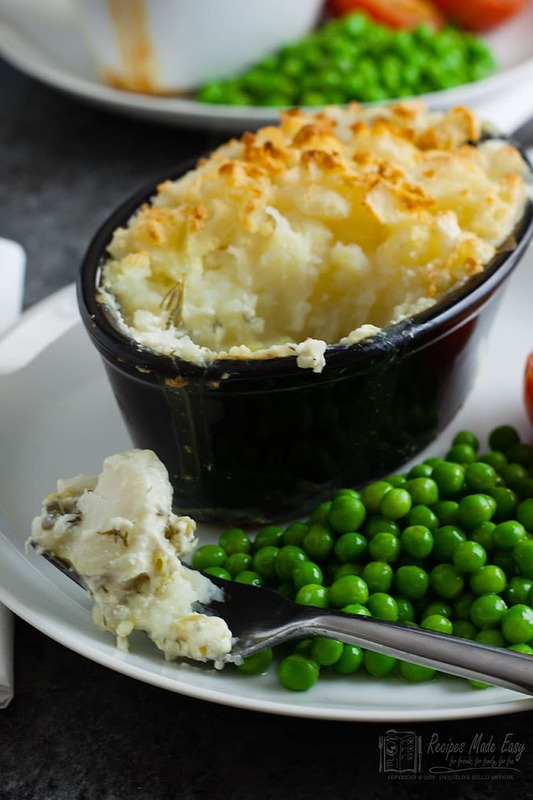 At this time of the year if I’m not baking or making scrummy stuff for Christmas, when I’m in the Kitchen then its likely I will be cooking up something that is warming like my Easy Fish Pie. 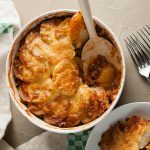 So for this round-up I have opted for Four Warming Winter Dishes as these are just the type of recipes I really need at the moment. 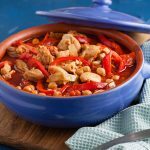 This Indonesian Fish Curry by Simple Gluten Free Kitchen is ready in 30 minutes, so would make a fabulous midweek meal. 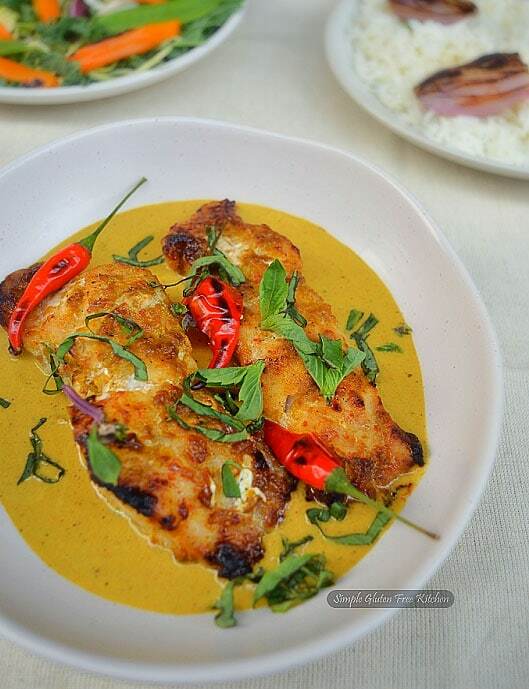 The fish is baked and then served in a spicy coconut curry. This recipe is made with lots of “wet” spices, giving it a lighter, fresher taste. Serve with a side of steamed rice to soak up the fabulous curry. I was drawn to this dish from Lathi’s Kitchen as it looks spicy, interesting and something I had not heard of. 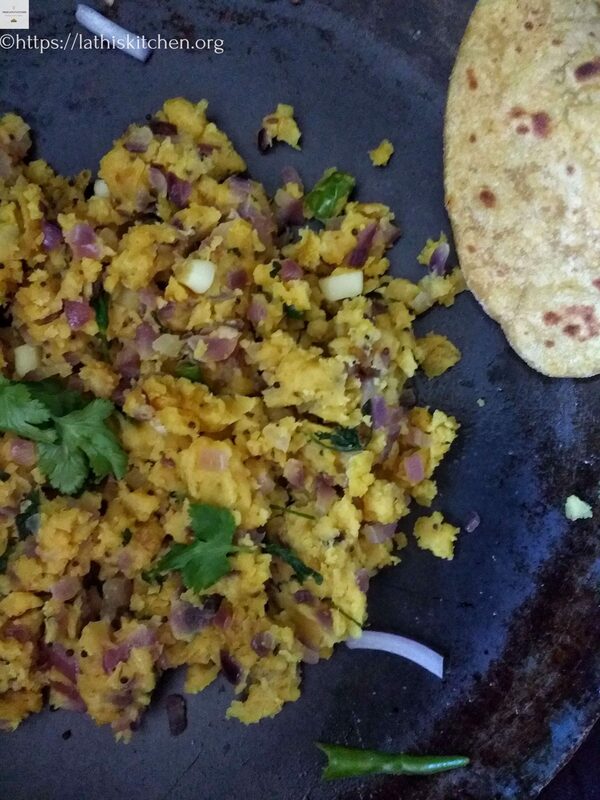 Zunka is a traditional dish from the Mahashtra region of India, made with Besan/ Chickpea flour as a main ingredient with lots of onions and green chilli. I’m sure it would make a great warming lunch time dish. Pasta is always a good standby for a midweek meal. 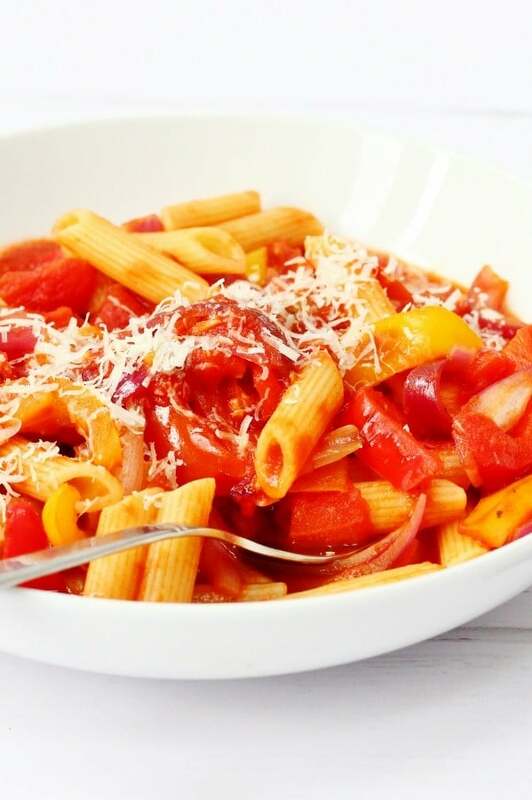 This Spicy Tomato Pasta from Searching for Spice is quick and easy. Corina says “This is my number one standby meal and I seem to make it at least once every couple of weeks. I start cooking the pasta and by the time the pasta is ready, the sauce is too.” If you don’t already have a recipe like this then you need this one! 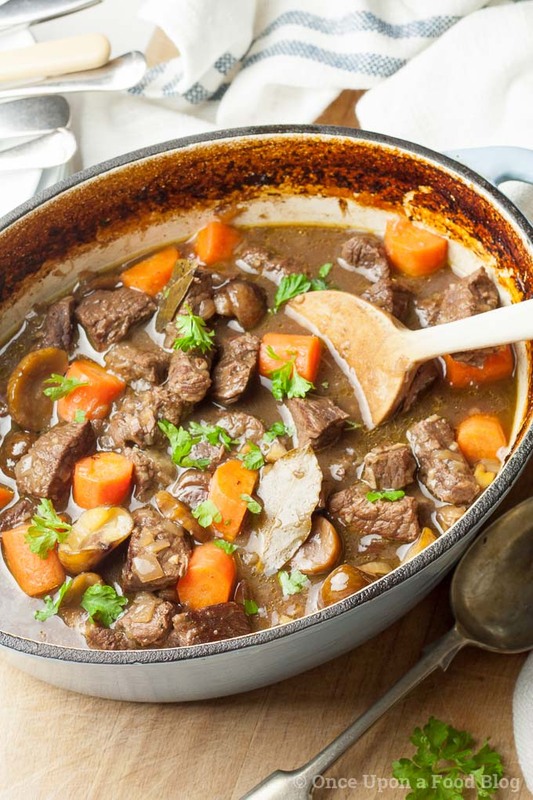 If spicy food is not your thing then try this Beef, Chestnut and Red Wine Casserole from Once Upon a Food Blog which sure warms the cockles of your heart. 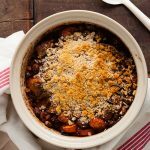 A nice long slow cook ensure this casserole has a rich flavour and the chestnuts add another flavour dimension. Next week (11th November) # CookBlogShare will be on Everyday Healthy Recipes. 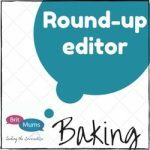 The final #CookBlogShare of the year will be hosted by Eb at Easy Peasy Foodie and will run for two week. I will be back n the 1st of January and for the rest of the year you will find #CookBlogShare here on the first Tuesday of every month. Thank you. I have to say they are rather good. Congratulations on your 3-year ‘bloggoversary”! I totally relate to your growing pains, although I’ve been spared the wholesale content theft—thank goodness! This recipe roundup makes me feel all warm and cozy. I can’t wait to try these out. Thanks for hosting! Happy Blog Birthday Jacqui and thank you so much for including my recipe. I agree with you on all the technical stuff, I don’t enjoy it nearly as much, but needs must! Who would have predicted 10 years ago that we would do this for a job?! Some great Winter Warmers, I’m looking forward to trying some of them. I can see your blogimproving nicely Good luck next year. That Indonesian fish curry looks especially appealing, gorgeous colour, but all these winter warmers sound delicious. Happy anniversary! Time flies, doesn’t it? Time does indeed seem to be flashing by. Yes I rather like the look of the fish curry hope to try it soon. Couldnt agree more its a case of which to try first although for me i think it will be the fish curry. then again…. Happy 3rd Blogiversary.. wish you many more successful years.. Delicious warming winter dishes options you have for the roundup. 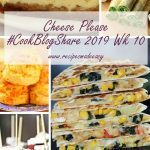 Thanks a lot for hosting CookBlogShare roundup and providing a platform to share co bloggers recipe which is really helpful for new bloggers like me. 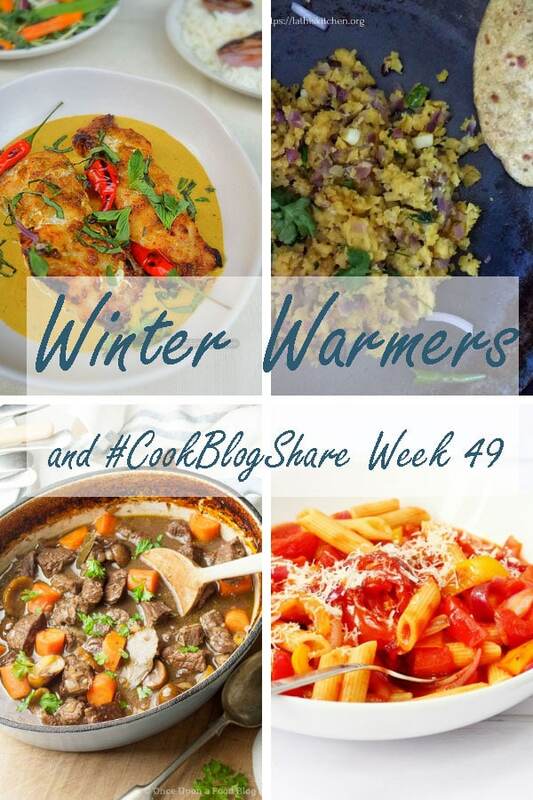 Thank you Geetha and I have to say I love hosting CookBlogShare I certainly found it a useful community to be part of when I started to feel honoured to be carrying it on. Thanks so much for including my spicy tomato pasta! I would love to try the other recipes too but I am especially intrigued by the zunka – I’m sure it’s something I’d love! Your pasta is just the kind of recipe I use the most. Zunka on the other hand I had never heard of but it certainly sounds interesting.